When it comes to gorgeous adventures in the great outdoors there is nothing quite like RV Camping in California, and there are few areas that can truly rival the rugged beauty of the campgrounds located throughout the Eastern Sierras. 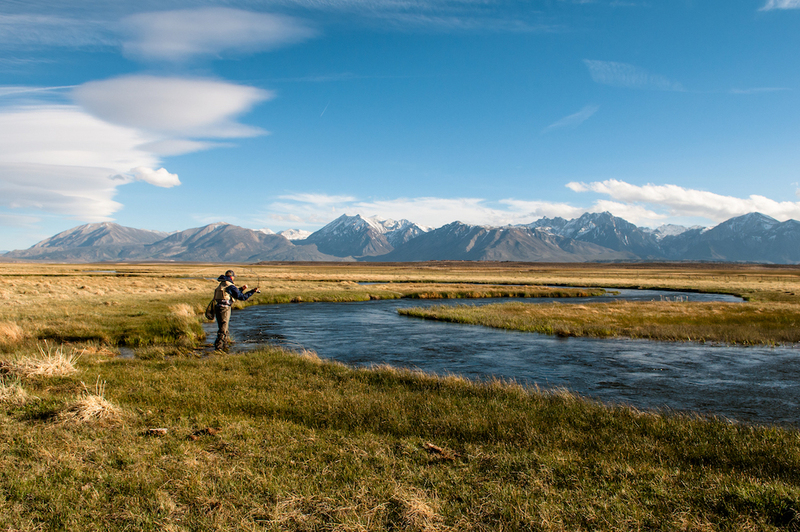 From exciting activities like hiking, rock climbing, off-road four-wheeling, and horseback riding, to relaxing pastimes like fishing, golfing, and bird watching, Eastern Sierra camping has something unique to offer every member of your family! The Eastern Sierras of California are a special location, as it is a terrain where the desert meets the high mountains, created by ancient glaciers and volcanic activity which today manifests in the area’s stunning hot springs, volcanic cones, and glacial lakes and valleys. So if you want to appreciate the beauty of Eastern Sierra camping up close, take a look at the following list of the best campgrounds in the Eastern Sierras! Lee Vining: Perhaps the most popular way to access the glory that is Yosemite, Lee Vining is your portal to some of the best Eastern Sierra camping sites, including Mono Vista RV Park and Lundy Lake Resort. Don’t forget about beautiful Mono Lake when RV camping in the Eastern Sierras. June Lake: The campgrounds at June Lake are ideal for the families looking for all of the charm of the Eastern Sierra town campgrounds, such as Oh Ridge Campground, without all of that added traffic from large visitor populations. Other campgrounds serviced by Adventure in Camping in the June Lake Loop include: Golden Pine RV, Grant Lake Marina, June Lake RV, and Silver Lake Resort. Mammoth Lakes: A perennial favorite of both novice and experienced Eastern Sierra campers alike, the Mammoth Lakes area is renowned for campgrounds like Red’s Meadow Campground, New Shady Rest Campground, and Mammoth Mountain RV, and Camp High Sierra. Eastern Sierra Camping in the Mammoth Lake area is also fun for the variety of amenities and activities available in the Lakes Basin, as well as the access to the spectacular Devil’s Postpile National Monument. Rock Creek Canyon and Crowley Lake: If beautiful hiking trails are what you are looking for on your Eastern Sierra camping trip, then check out all Rock Creek Canyon has to offer! From the beginning of the canyon at French Camp (7,000 feet in elevation) all the way to the end of the canyon at Mosquito Flat (10,000 feet in elevation), there are several campgrounds and lodges located amongst the scenic Rock Creek Canyon. Creek Canyon: The Bishop area is also another destination along the Eastern Sierras with a great assortment of campgrounds. Bishop Park for example, is a particular favorite for those campers who love to fish, with most of the sites being right along the creek. Brown’s Town Campground is another perfect family RV camping destination, with fun and relaxing activities to keep everyone entertained! Now that you have a list of some of the very best Eastern Sierra camping locations in California, be sure to get in touch with the RV camping experts at Adventure in Camping to start planning your trip today! Remember that Adventure in Camping does not service to all these areas, check out our site to find out more about the areas we serve and about the “Pull Your Own” option!